Digital transformation isn’t just the future. With SAP S/4HANA, it’s the current reality for businesses in virtually every industry. 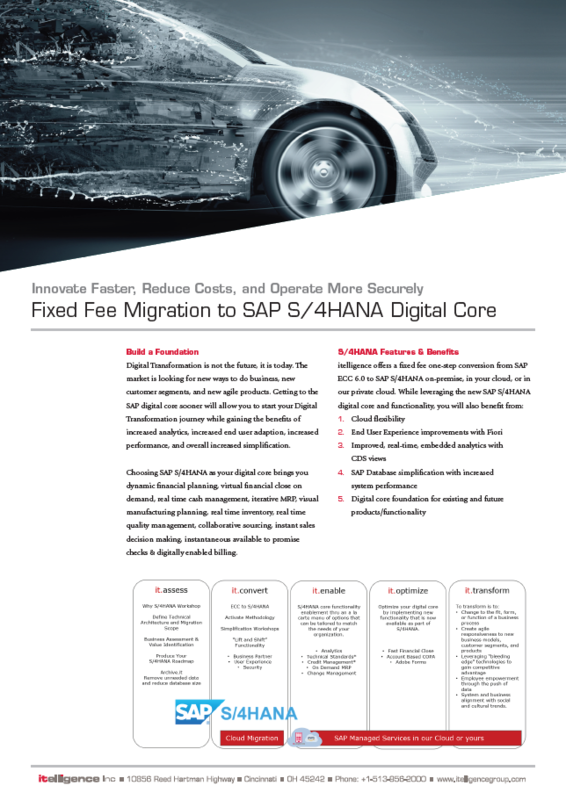 Start creating your future today by reading our SAP S/4HANA digital transformation buyers guide, which will help your organization understand why to evaluate SAP’s next-generation business suite, SAP S/4HANA, to digitally transform your operations, and why itelligence is the experienced guide you need to help you. Find out how your company can become better connected, more mobile, and able to think and act in real-time with the digital transformation benefits of SAP S/4HANA and itelligence at your side!